This strategy sets out a vision for Ely and East Cambridgeshire where cycling is a safe, enjoyable, and practical way of travelling. The size of Ely and proximity of the surrounding villages means that all journeys in the area can be easily cycled by the majority of people in relatively short times. Why should we be encouraging more cycling? Improved cycling facilities combined with a large uptake in cycling provides benefits not only to cyclists, but also the area as a whole, creating a cleaner, quieter, less congested and generally more pleasant place to live, work, visit, and enjoy. 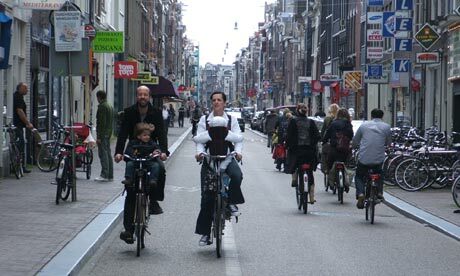 Why do we need a cycling strategy? What does it hope to achieve? There is currently a gap between the stated aims of the council to encourage cycling within the district and actual changes on the ground. This strategy is an attempt to bridge that gap. The strategy is aimed at two main groups; those people who are interested in cycling more but are put off by the lack of adequate safe provision (inc. children and families), those who already cycle as part of their daily routine (i.e. commuting). Where do we want improved cycling provision? We are proposing a network of cycle routes across East Cambridgeshire. The routes on the network will be safe, direct, useful, connected, logical, maintained, signposted and future looking. What sort of cycling provision do we want? 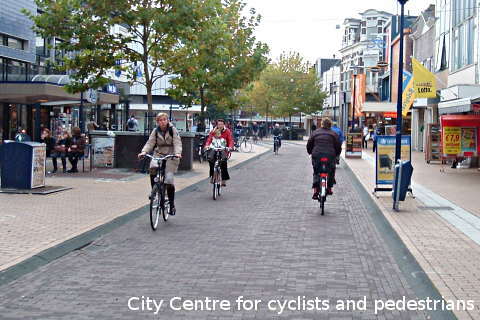 We want segregated cycle provision, with dedicated space for cycling not shared with pedestrians or motor vehicles. How do we get from where we are to where we want to be? Initially we need to get backing for the strategy. After that all new developments should have appropriate provision built in. Changes to the existing roads should planned and prioritised based on cost and importance to the network. I have read through all the Ely Cycle Campaign Strategy and can honestly say I have nothing more to add. I think what has been written is comprehensive, well put together and very relevent to our local situation. Hi Just read the strategy on the Ely Cycling Campaign, while I agree with this as a long term strategy I question what is happening in the short and medium term. 1. The worst quality roads we cycle on are in and around the Ely City area. There are pot holes,raised man holes and the worst area is the so called cycle lane going out to the golf club. Improve this and then cyclists may not have to take evasive action to not be thrown off. 2. 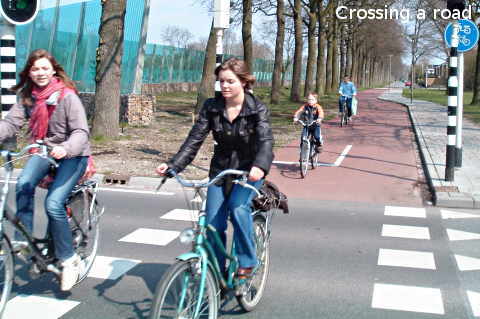 Make the cycle paths you have in place more acceptable to all bikes. There is a cycle path out to Padney that unless you have Kevlar tyres you can not go on without getting punctures from the flint, and I feel sorry for the walkers who have to share this path with us. 3. Campaign to make cars more aware that very often the reason we ride out of the gutter is the fact that the drains and non cleaning of this area means that it is dangerous to the rider and the bike. I commend any action to make cycling more inclusive and safer and am not being negative, but fix what is broken in the short term in order to have a spingboard to take cycling forward. PS if anybody wants to join our little cycling group email Robinjones1966@btinternet.com …. Hi Robin, if you want we could put a page on the web site advertising your MAMIL rides. Maybe you could send us some text (have a look at the page I put up for the bike rides with Ely Cycling Club) and email it to contact@elycycle.org.uk and we’ll put it up. As for your points: Have a look at our project pages, some bits are covered there. 1. Potholes etc. Not really cycling specific but you can already report them on fixthathole and shapeyourplace. We have talked to the council about Cambridge Road and they said it will be resurfaced after some utilities have done their digging sometime next year. 3. Not really something a local campaign can do, except maybe put some signs up (which we are working on – see our projects). I think this has been mentioned in the recent parliamentary enquiry and hopefully something will get done on a national level. You should come along to our meetings then we can talk about your ideas! Robin is also right, whilst a long term strategy is essential, we must also push for short term improvements. These can be major schemes, but also should include smaller quick wins. A pro-active attitude will help, by not being negative about every improvement. If we have a problem it needs to be responded to with a possible and realistic solution. Not a rude or nasty response. Nothing wrong with thinking big, but we need to think small as well so those two ends are joined up. Just so it is clear no suggestion that anyone in this campaign is rude or nasty. Just emphasising the need for constructive solution driven solutions.